Alright I'm so excited to share this pickle recipe with you but first because it's only around for a few more days (Monday, September 15th to be exact) I have to share more about the bundle. Sorry for those who already have theirs and are getting tired of hearing about it.......but it's so limited time I don't want anyone to miss out! I just thought I would take just a quick minute and share of few of the other resources that I'm excited about! 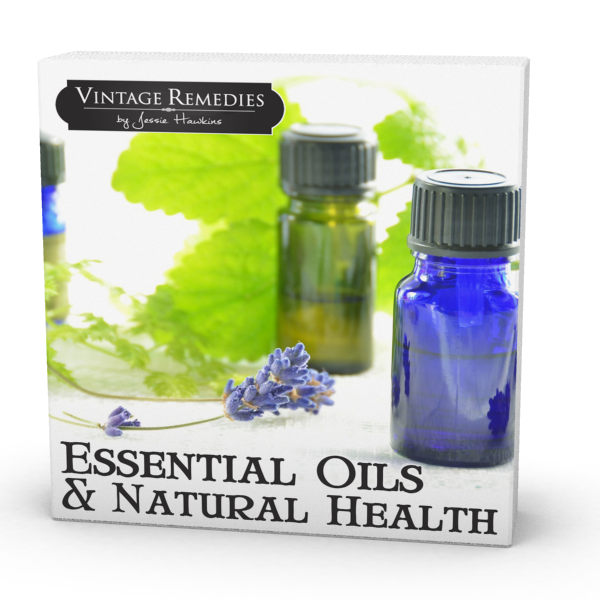 As soon as all my canning and preserving is done for the season I'm diving right into the Essential Oils and Natural Health ecourse! I have grown to really appreciate the role of essential oils in my natural healthy lifestyle and I do have a few favorite brands. But mostly my expertise is more in herbs and I feel I lack the kind of knowledge I would like to have about essential oils. But I have been having a hard time finding classes that weren't brand specific and I want my knowledge to be more general. Although I have liked learning about what the different brands have to offer and do find much of what they teach to be very informative I'm just really excited to go about it in a more unbiased way. Like herbs I use essential oils very often and would just like to be more educated about them. So when I saw that this $95 course was included with the bundle.....lets just say I would buy the bundle just for that course! I'm excited about this whole section......I guess it's just my passion! I have already started reading a few of these books The Eczema Cure is one I have been wanting to read for a while although my family has not really had to deal with eczema I know a lot of people who do and I would just really like to know more about it. I have also started reading The Healthy Home Economist's book and already found myself reading quotes to my husband out of it......and that was just the introduction! I have personally found that food dyes have no place in my home.......they make me irritable, cranky and depressed and I have seen them make my kids (some more than others) down right mean and aggressive when they are not normally. Which is why we now grow our own pickling cucumbers and dill and why I'm excited to share this awesome recipe with you! 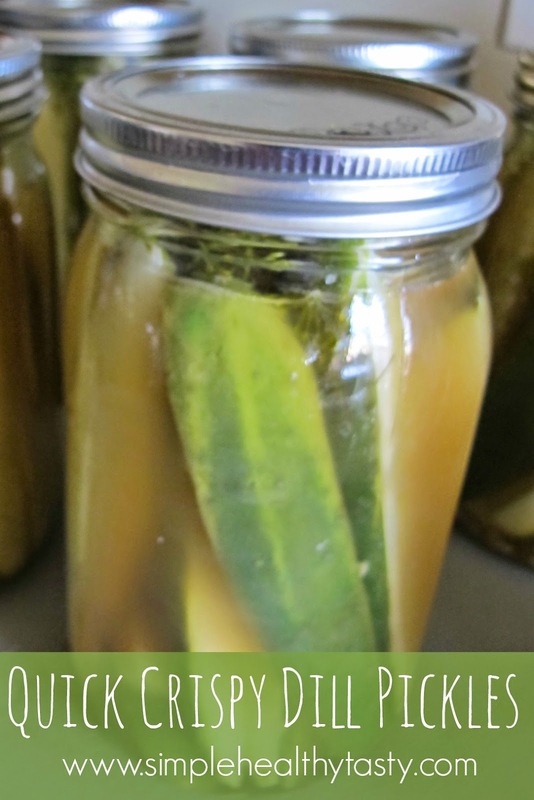 Last year my Sister Emily found a great pickle recipe that her and her family just love. We got together at our Mom's house last Summer and made some and my family also decided they really liked these pickles. This year I made sure we grew lots of dill and cucumbers and adapted the recipe just a bit to make it to be enough to fill 7-8 quarts that fit into my canning pot. Knowing that I can also easily double it to fill up both my canning pots if needed. .....happened to 2 of the jars while canning. I had my jars and brine pretty darn hot but obviously not hot enough and the quick dip in the boiling water shocked them. I have had a jar break once in a great while but really only one or two that I can remember in my whole canning career. So to have 2 in one batch led me to believe that these were not good odds and that I needed to figure out a way to make it much less likely. You see the problem is that if you want crispy pickles you can't just place them in cold water and let it slowly come to a boil and then boil for 20 minutes. When you do that you get yummy pickles but they are pretty soft and overcooked. Great to chop up and add into Chickpea sandwiches maybe but not as good for crunching on. So Ryan and I did a little brain storming to try to figure out how to greatly decrease the shock factor for the jars without going to the hassle of preheating them in the oven and still risking some shock factor since they cool off so fast. I think we figured it out because we tried 2 more batches, 14 more jars, and not a one of them broke. Then just last night I made 2 more batches, yep again 14 more jars they all sealed up nicely and again no breaky! Read the recipe below to see what worked! NOTE: It may all seem a little complicated and overwhelming but trust me it's actually the quickest canning project I have done since they only need 5 minutes in the water. Me and one person helping can whip up the 2 batches start to finish in about an hour. You will also need 7-8 clean wide mouth jars with rings and new lids and your other water bath canning supplies hopefully a pot with a good rack that will set above the pot like this one. In a large pot bring the water, vinegar and salt to a boil. This is your brine. In your canning pot fill it with enough water that it WILL NOT overflow when you place full jars down in. On my pot this is about 1/2 inch above the first line but your pot may not have "lines" so figure out what it is BEFORE you try it with boiling water. Place the pot of water on the stove on high then place the rack on the pot lifted up out of the water. You are going to place your filled jars on here as the water comes to a boil. This way the steam will warm up the jars so they won't break. Placing the lid to the pot on top of the jars will speed this up some, note that the lid will be on top of the jars not on top of the pot because the jars are not down in the water yet. 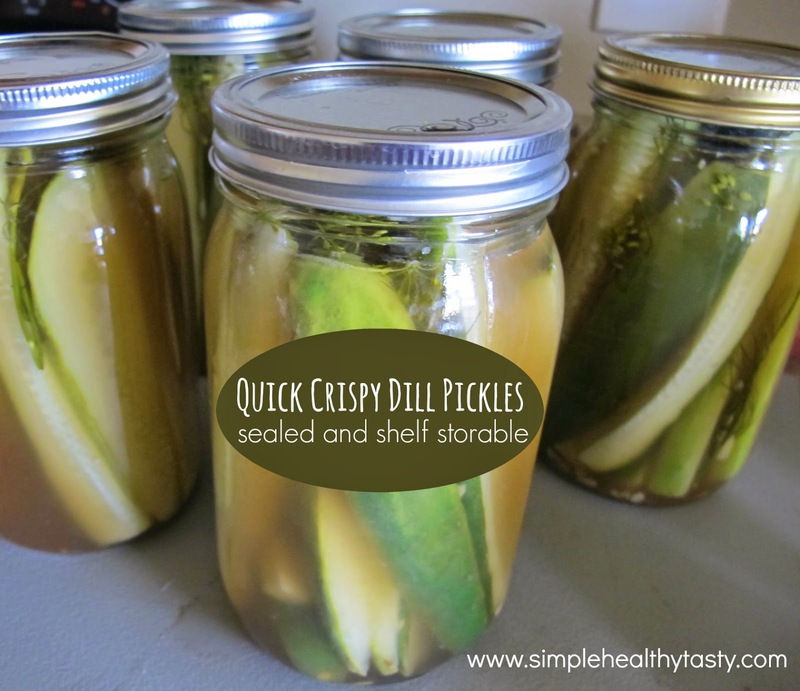 In each jar place 1 or 2 sprigs of dill 3 or 4 cloves of garlic and as many sliced cucumbers as you can fit. Then using a funnel, pour the boiling brine into each jar and place a sterilized lid and ring on each jar. Be sure to use a hot pad to do this because the jars are hot now. Once all jars are filled, and on the rack with lid over them as soon as the water comes to a boil VERY CAREFULLY lower the rack and jars into the boiling water. Place the lid on the pot and set the timer for only 5 minutes. AS SOON as five minutes are up quickly take the jars out with a jar lifter and set them on a heat proof surface to cool. As they cool the lids should seal. If by chance you have one that doesn't seal you will want to store it in the fridge but all that have sealed will store well on a pantry or food storage room shelf for at least a year probably longer. yum! my boys would love this recipe. Do they taste like any store bought pickles you've ever had? Chelsea: They remind me mostly of a deli type pickle. Laura: That's a great idea! I have been trying to ferment more veggies that come out of my garden. I finally have most of kids and more amazingly my husband loving sauerkraut. I'm totally going to try it this fall! The cucumber plants are just starting to set and I have dill growing everywhere.